Espresso vs. 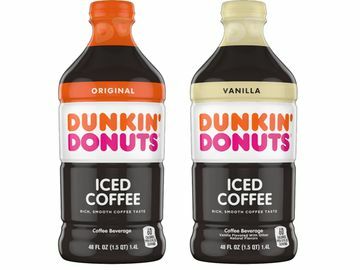 Brewed Coffee: What’s The Difference? You may be wondering, "what’s the difference between espresso and brewed coffee?" 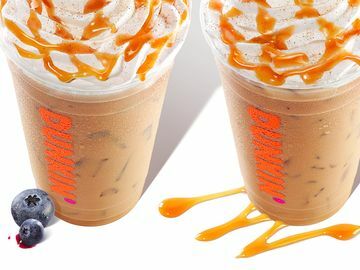 As a coffee expert here at Dunkin’, I want to share with you what makes each of these beverages unique. The difference between espresso and brewed coffee is not in the bean. 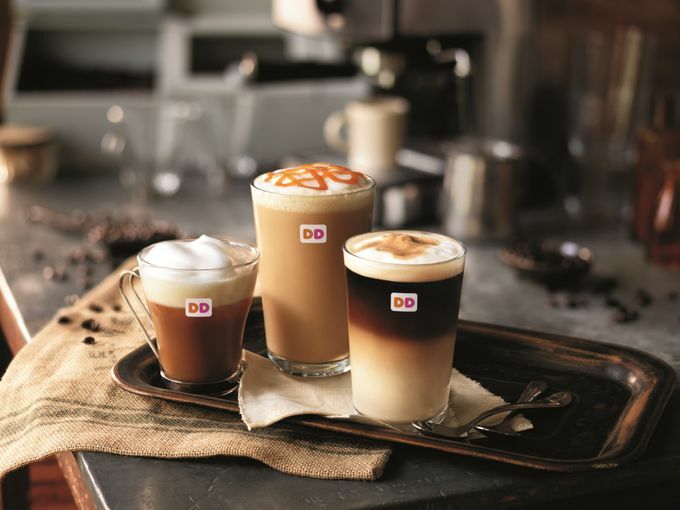 In fact, there is no such thing as an “espresso bean.” Here at Dunkin’, we use high-quality Arabica beans for all our coffee and espresso based beverages. It’s the different methods of roasting, grinding and brewing those Arabica beans go through that lead to each beverage’s distinct taste. With espresso, our Arabica beans are dark roasted, then freshly and finely ground. The espresso is then brewed by forcing hot water through the Arabica beans under high pressure. 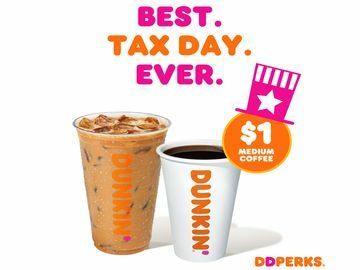 This delivers the rich, bold taste of an espresso shot. 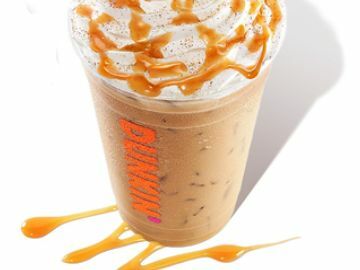 Espresso tastes four to six times stronger than coffee, so it is often enjoyed with water in an Americano, or by adding steamed milk and foam in a latte and cappuccino or creating layers in a macchiato. 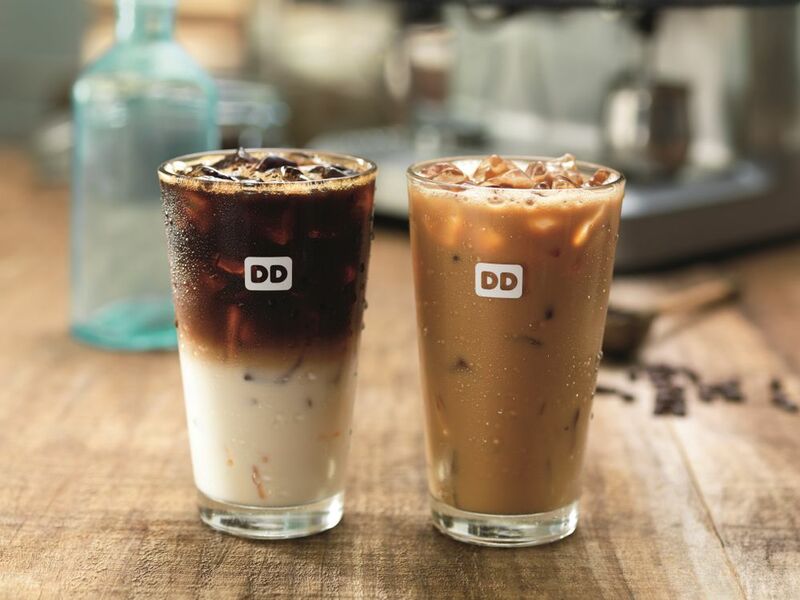 Learn more about the differences between our espresso-based beverages here. In contrast to espresso, brewed coffee uses gravity rather than force when brewed. With the drip method, hot water drips over coffee grounds, which then passes through a filter. 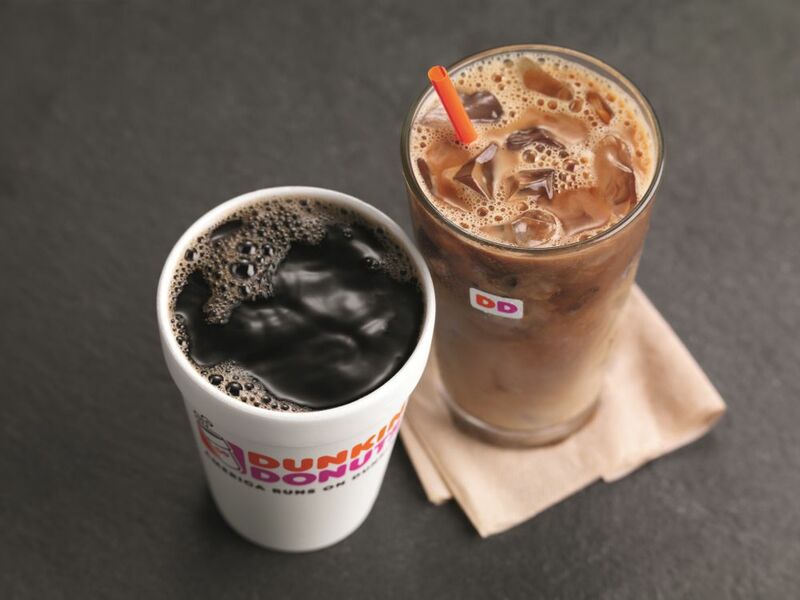 The result: a freshly brewed, smooth cup of coffee that can be enjoyed on its own, or with your favorite dairy, sweetener or flavor. Brewed coffee can vary based on how the coffee bean blends are roasted as well. Our Original Blend coffee uses medium roasted Arabica beans, delivering a lively, bright coffee with hints of nuts, fruit and caramel tones. Our Dark Roast, on the other hand, uses dark roasted Arabica beans to create bold, rich coffee with a semisweet chocolate finish. 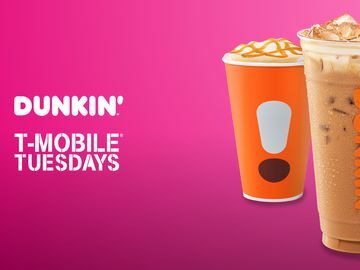 Even with their differences, both espresso and coffee beverages are freshly brewed at Dunkin’, so you can stay energized to make the most of your day. Which one do you run on? Let us know on Facebook, Twitter and Instagram.